The US District Court of Appeals in Washington, DC, will hear arguments this Tuesday over the Obama administration's Clean Power Plan, which dictates carbon-cutting standards for states based on their greenhouse-gas emissions. The Supreme Court put a hold on enforcement of the plan in February to allow legal challenges to it to be resolved in court. If the Court of Appeals rules that the government can legally enforcement the plan, the country will have to start using a lot more renewable energy (like wind and solar) — and much less coal — by the year 2030. 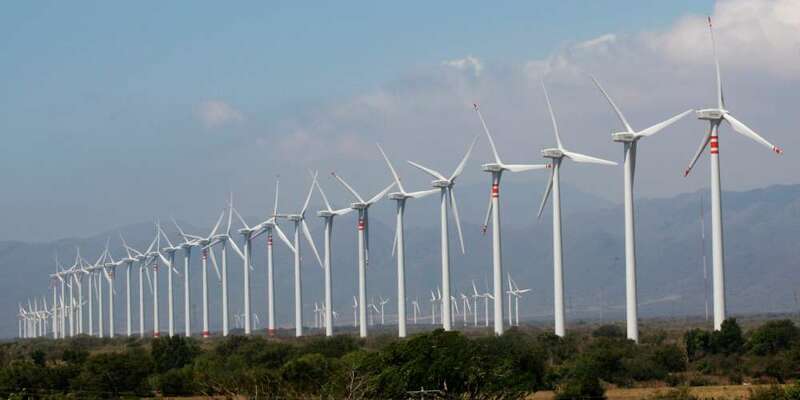 Part of the plan calls for the creation of incentives to encourage states to build wind farms. Though the US invested $14.5 billion in wind-power project installations last year, wind farms still provide less than 5% of the nation's energy, according to the American Wind Energy Association. But what would a US powered only by wind actually look like? To answer that question, AWEA's manager of industry data analysis, John Hensley, did the following math: 4.082 billion megawatt-hours (the average annual US electricity consumption) divided by 7,008 megawatt-hours of annual wind energy production per wind turbine equals approximately 583,000 onshore turbines. In terms of land use, those 583,000 turbines would take up about the total land mass of Rhode Island, Hensley says, because wind projects typically require 0.74 acres of land per megawatt produced. To make his calculation, Hensley considered that the average wind turbine has an output of 2 megawatts of power and is 40% efficient. That means it can reach its full power-generating potential 40% of the time, since wind is not always blowing and farms sometimes shut down for routine maintenance. That percentage also accounts for constraints to the electrical grid — if an electrical grid receives more power from a wind farm than it can handle, for example, managers will turn off a few turbines. Forty percent is actually pretty efficient, Hensley says. For comparison, solar projects operate at an average of 20% efficiency, and fossil-fuel production facilities operate at 40% to 60% of their full capacity on average. When you multiply a wind turbine's average potential (2 megawatts) by its 40% annual energy efficiency, 365 days a year, you get Hensley's estimate of the megawatt-hours of energy production each turbine can produce (7,008). Thanks to technological advancements in wind turbine technology, the cost of deploying wind energy has fallen by 90% since the 1980s. Wind turbines can also now be built taller and larger than ever, allowing them to harness more power than in years past, Hensley says. 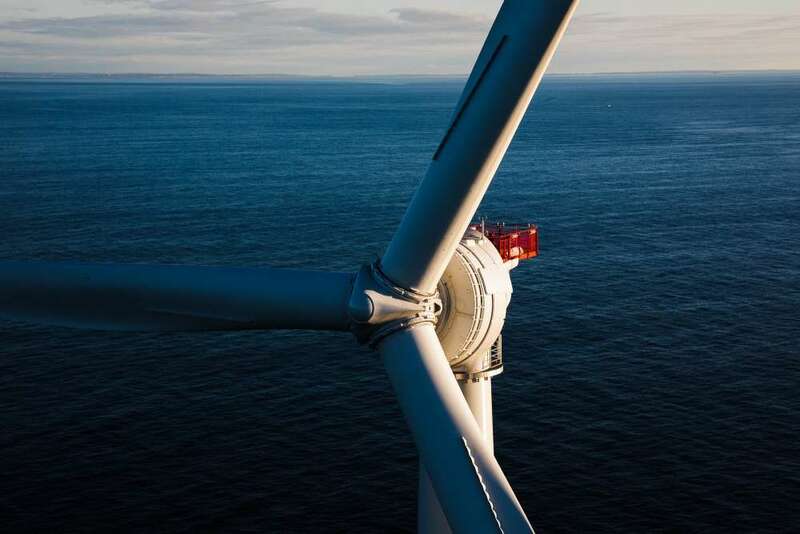 Offshore wind farms, in which turbines are installed in oceans rather than on land, can offer about 33% more power than onshore ones, since there is more wind blowing over the sea than on land. Of course, installing more than half a million turbines across the US would be a moonshot project, even with the recent cost reductions. But investing in more renewable energy — so that we're less dependent on fossil fuels — is certainly a worthy goal.